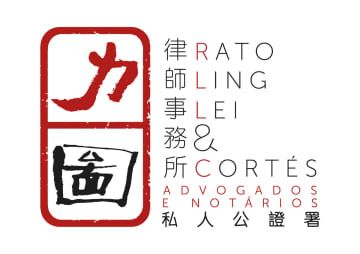 Rato, Ling, Lei & Cortés – Advogados (Lektou) is a Law Office located in the Macau Special Administrative Region of the People’s Republic of China with origin in the office of Gonçalves Pereira & Rato. Having begun operations in the 80’s, the office has evolved to its present configuration of four Senior Name Partners, Frederico Rato, Paula Ling, Lei Wun Kong and Pedro Cortés - two of them also Private Notaries - and two other Partners, Chang San Si and Filipa Almeida Santos. With more than 25 years of legal practice in Macau, the strong professional and academic profile, together with the long experience and full integration within Macau is the guarantee of our services quality. In 2016, Rato, Ling, Lei & Cortés partnered with Zhong Yin Law Firm, in People’s Republic of China, and Fongs, in Hong Kong, to open a new office in Hengqin Island, Zhuhai, PRC – ZLF Law Firm. This is the first law office that unites firms from the two Special Administrative Regions and Mainland China. The permanent update and specialization of our Lawyers, combined with the proven professional practice in the different areas of Law, allow us to offer a prompt, effective and efficient response to our Clients, from the intervention in negotiations, disputes and alternative dispute resolutions hearings to regular and continuous legal advice in the various aspects of Law.